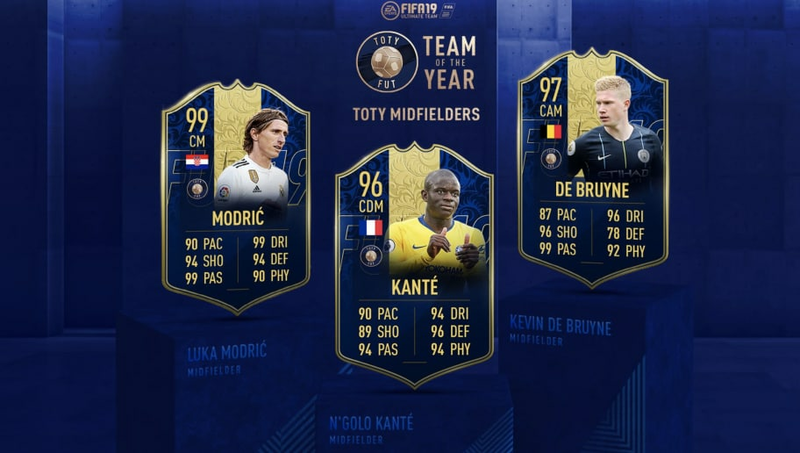 Just a day after EA Sports released the first set of Team of the Years players, they came out with the next 3 players in the form of the midfielders. N'Golo Kanté joins the Team of the Year as the second Frenchman announced (Kylian Mbappé being the first) and it comes with good reason. Since his outstanding championship run with Leicester City in 2015–16, Kanté has never looked back in proving that he is the best defensive-minded midfielder in the world. A 96-rated card shouldn't upset anyone as the Frenchman's card is still defensively heavy while also maintaining 90 pace. If you look past his recent struggles to gain back his form, Kevin De Bruyne hands down has been one of the best midfielders in 2018. The Belgian helped Manchester City to a historic 100 point season while also winning the Premier League. Outside such success in his club, De Bruyne aided Belgium's 2018 World Cup run by claiming 3rd place in the tournament. 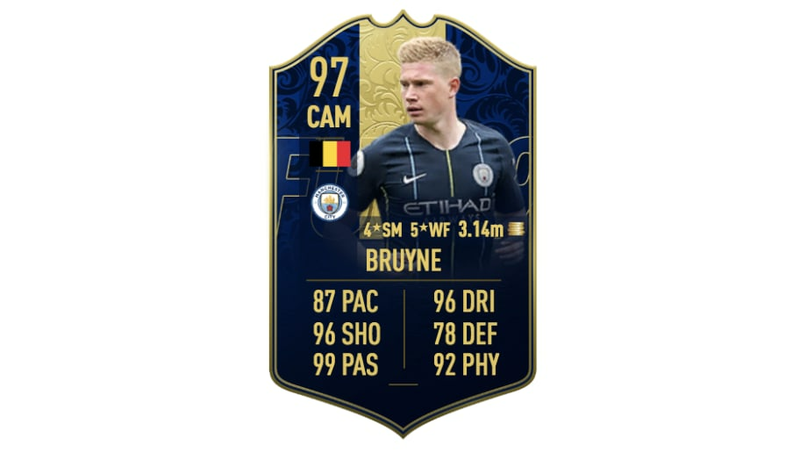 Falling short to the prestigious 99 rating, Kevin De Bruyne still received a epic 97 overall with a card that is just over 3 million in worth. Finally at #1 is the 2018 Ballon d'Or winner Luka Modrić. His 2018 season was incredible and it clearly shows when it comes to his TOTY card in Ultimate Team. 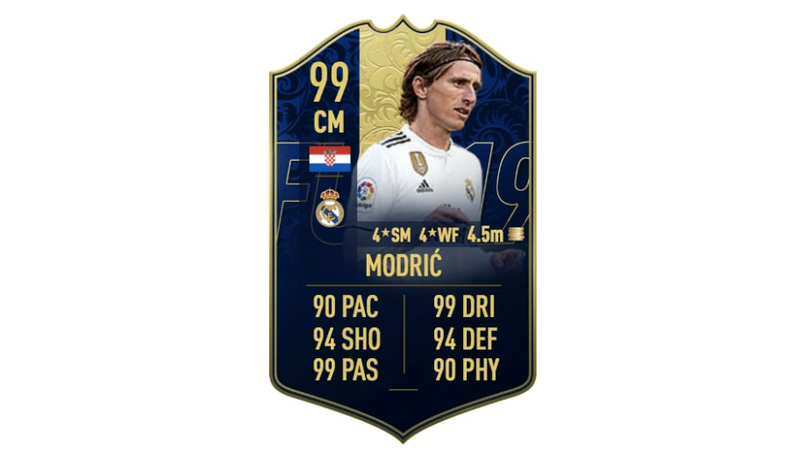 With what most would call the best card among the starting 11, Modrić has two statistics that rate an insane 99 on his card. This comes from a season that saw his team Real Madrid winning the Champions League while also his national team (Croatia) getting to the 2018 World Cup finals. 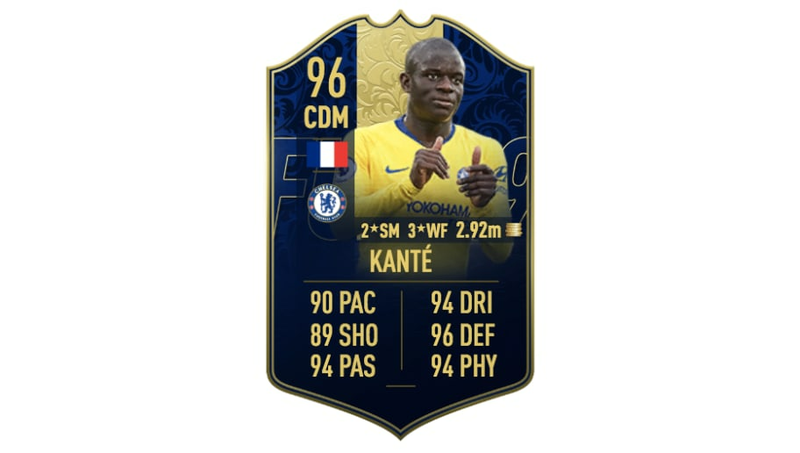 There is literally nothing this card can't do in FIFA 19 as it seems to have no weaknesses at all. To sum up this card, his in-game stats are at a whopping 2701, the highest IGS in FIFA history.